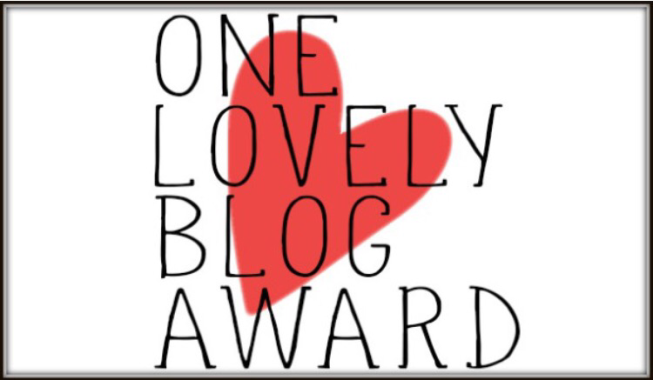 I Got Nominated for a One Lovely Blog Award! Woo Hoo! Here are the people I nominate. NOTE: If I nominate you and you don’t want to participate, that’s cool! No worries! Thank you to Nalia Rose for nominating me! I never expected to receive anything like this! And thank YOU readers, for continuing my enable my mad ramblings! I appreciate you so much, and love that there are so many people with similar interests! I’m a shy weirdo introvert. I played the violin for seven years. I like experimenting with natural beauty products and methods, and have tried LOTS of different kinds. I LOVE to cook (and eat)! I am insulin resistant/Pre-Diabetic and control it with diet and exercise. Here are the people I nominate. NOTE: If I nominate you and you don’t want to participate, that’s cool! No pressure and no worries! Congratulations on the award! It’s richly deserved! Thank you! I also nominated you! I am supposed to go notify the people I notified but I fell down on that step, will do it later today. That’s neat! i will have to figure out cabinets and how to do them, now that I have an award.